In Bible Study this week, we were studying the parable of the talents (Matthew 25:14-29). Before going away on a long journey, a master calls in three servants. To one he gives five talents; to another, two; to a third, one - to each according to his ability. Much later, the master returns and asks for an accounting. The one with five has managed to accrue ten. The one with two now has four, but the one with only one had gone and buried his talent. Therefore, it didn't grow and he only had one to give to his master upon his return. The master was very pleased with the first two servants who had utilized their gifts and made more. The third servant he treated with contempt: "You wicked, lazy servant!" The master then took that one talent from him and gave it to the one who had ten. The point of this parable is pretty obvious. Even a child would tell you that it means we are supposed to use the gifts that God gives us. He will hold us accountable for what we do with them. It seems rather straightforward. Use our gifts well and they will multiply. Ignore them and they will stagnate. What happens when this doesn't go according to plan, however? As one of my friends pointed out, the story needs a fourth servant. The fourth servant is given his talents and he (or in our case, she) goes out and tries to do all she can with her talents. And she fails, repeatedly. Nothing multiplies. Every effort comes up short. In an economic comparison, she invests all she has in the stock market and the stock market has crashed. When the master returns, she has little to show for her efforts, except a bucketload of tears of frustration. As my friend said this. I nodded enthusiastically. Yes, this is where I fall in this parable. I imagine many other people feel this way as well. Sometimes, life is so hard. We pray to do God's will and try to do it, and yet we seem to come up empty. The conventional wisdom is that if you are failing, you aren't doing what God wants you to do - that if you are doing God's will, you will meet with success. But what if you believe you actually are doing what God wants you to do? Where do we fall in the parable? We are not the servant who buried his gifts. We tried all we could. Did the servants who doubled their talents actually struggle in the process? Did they fall down repeatedly before achieving success? Does the parable just not tell that side of the story? That thought gives me some hope. Our parable isn't done being written yet. Maybe God has some plan we just can't see. Maybe our work, our talents, is bearing some fruit we are unaware of. Maybe we are right where we are supposed to be. All we can do is keep trying. If we are truly doing God's will, then we are where we belong. I am reminded of Mother Teresa's statement: "We are not called to be successful, only faithful." We are the fourth servant. I have to believe the Master will reward us in the end. What do we concern our lives with more in this life - what is here now or what is to come? Obviously, we need to care about what happens here. We need food and clothing and medical care. We need to care for our children and take care of the earth. Yet, we must always keep the ultimate focus in mind. We do not live for now. We live for eternity. That should make a difference in how we conduct our lives. Does it? Who are your enemies? Maybe you don't have any. In that case, who are the people you really don't like? The people who seem to exist just to aggravate you? Have you ever tried praying for them - not praying for them to change and do what you want, just praying for them? I read once (I can't recall the source) that you can't hate someone you are praying for. In my life, I have found that to be true. It may take a while, but you will find peace in the situation. Say a prayer today for someone who irritates you or makes your life difficult. We are all sinful. Our human nature is weak. We all make mistakes on a regular basis. None of us is worthy to stand before God. If God held all of our wrong-doing against us, we wouldn't stand a chance. Thankfully, we have a forgiving God. Each time we fall, if we are truly sorry, He welcomes us back with open arms. Forgiveness is a powerful thing, both to give and to receive. May we strive to offer others the same forgiveness that God so generously extends to us. Gratitude is indeed the secret of happiness. Appreciating what one has makes the whole world seem brighter. 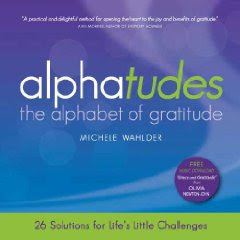 In "Alphatudes: The Alphabet of Gratitude" Michele Wahlder offers a unique way to count one's blessings. Suffering from insomnia night after night, she decided to try something other than counting sheep. She began to count her blessings, using the alphabet as a guide. Sleep was the much-appreciated reward. 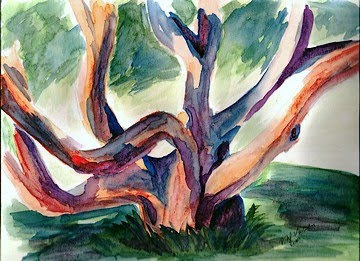 Wahlder began to integrate this in her life on a regular basis and found that it allowed her to "clear her mind and process the events of the day in a positive way." She then began to share this idea with others and discovered benefits for them as well. Thus, "Alphatudes" was born. This book is a delight to both look at and read. The design is beautiful. Each letter and its corresponding "Alphatude" are illustrated in an inviting two-page spread. Gifts such as acceptance, beauty, dreams, hope, kindness, laughter, quiet, relationships, touch, and work are explored and praised. Wahlder has incorporated quotes from wise individuals from various faith traditions and walks of life to help inspire those who turn these pages. One of my favorite sections was the one on "Hope." Wahlder writes, "All great accomplishments begin as a tiny seed of hope. . . Hope is reduced to wishful thinking only when not accompanied by intentional action. We need to remember that prayer is one such intentional action." Wahlder has also included some things one might not consider being grateful for. Take "Obstacles," for example: "Obstacles energize us to stretch beyond our routine way of thinking and encourage us to try on an unfamiliar behavior or skill. During the process, we improve upon our perceived weaknesses and turn them into unanticipated strengths. By expressing gratitude for the obstacles in our lives, we uncover our hidden treasures and the wealth of support available to us." "Alphatudes" is one of those books you will want to sit and reflect upon again and again. It offers an important reminder to be thankful for all that comes our way. It would make a beautiful gift. Pokemon Ponyta and Rapidash Cards starting bid 50 cents. Here, Jesus assures us that our prayers will be answered. All who ask the Lord for help will receive it. So, what is the catch? The catch is that God's will will be done, not ours. Prayers are often answered in unexpected ways. Many times in life this is a source of frustration. After all, we know what we want and how we would like to be. We bring that to God, and He does something totally different. Yet, He knows best, and often in hindsight we can see God's hand working in our lives. When we pray, we can trust that God will shape our lives the way that they are supposed to be. The part of this passage I want to focus on today is the first line: "The word of the Lord came to Jonah a second time." Why the second time? Because the first time Jonah ran away from what the Lord wanted him to do. He got thrown out of a ship into the sea, where he was subsequently swallowed by a big fish and then vomited by the fish onto the ground. When the Lord spoke the second time, Jonah wisely decided it was better to do what He said. When the Lord asks us to do something, do we agree readily or are we like Jonah and start running away? While we might not get swallowed by a whale, our life does not go well when we ignore what God wants. What is God asking of you today? Will you listen? The "Our Father" is the prayer that Jesus gave us. It is the perfect prayer, offering praise and encompassing all our needs. It is a prayer that we are so familiar with that we often say it without even thinking about it. Perhaps today we can say it slowly and reflect deeply on the words that Jesus gave us. Sometimes, we feel like God is with us when everything is going well. After all, God is blessing us when life is good. We have so much to thank God for then. At times when all seems lost, how do we feel then? Do we still think that God is with us? Or do we feel abandoned, that God doesn't care about us anymore? God is always with us. We have nothing to fear. Everything will work out for our eternal good, even if it doesn't seem that way at the moment. I'm reminded of that famous "Footprints" poem, where the man asked Jesus why there was only one set of footprints in the hardest times of his life. Jesus responded that "it was then that I carried you." Is Jesus carrying you today? Trust in Him. "At Dachau, Father Frelichowski secretly ministered to sick and elderly prisoners by bringing them food and whatever medicine he could attain. He also heard confessions in Polish, French and German. At great risk to himself, he continued to attend to the sick amid a typhus epidemic in 1944. After eventually contracting both typhus and pneumonia himself, he died at Dachau on February 23, 1945 - just weeks before the camp was liberated." This Lent, my family is embarking on a different type of sacrifice. I had heard of the 40 bags in 40 days challenge last year, but quickly dismissed it. In fact, I read about it again this year on Fat Tuesday and dismissed it again. Anyway who knows me or has visited my house knows that housekeeping is not my strong point. Neither is neatness. I had the desk in elementary school that was overflowing with papers. My locker in high school was a health hazard. I once had to explain to a boss that even though my desk looked like a tornado hit it, I knew where everything was and did, in fact, have every task under control. Anyone else see a theme here? My house is much the same. It's not that I don't like neat places. In fact, when I go to clean, neat houses, I feel a small pang of jealousy. Truly, though, I don't know how to live that way. I need visual reminders of what I need to do. If it is out of my sight, it is truly out of my mind. My husband and two children are much the same. We all have the messy gene. Therefore, we coexist rather peacefully. However, the simple truth is that we have too much stuff and some of it needs to go. The beauty of doing one bag a day is that it is doable. One of the things that paralyzes me when facing the clutter is that there is so much of it. I can't do it all at one time, not even one room. Yet, I can do one bag. When I have filled up one bag, I feel like I have accomplished my goal for the day. I cross it off on my things to do list and up the total of bags completed. Truly, I don't know if we will be able to fill 40 bags or not. As of this writing, we are at seven. Still, I am excited and happy with the progress so far. Admittedly, most of the items cleaned out so far have been in cabinets and closets. Looking around my house, no one would see much of a difference. Still, I know that it is getting done. I'm giving away as much as I can so that I am helping others as well as cleaning my home. Lent calls us to strip away all that is keeping us from God. Too much stuff can definitely be part of the problem. Lent is a good time to physically remove some of the things that we don't need anymore. I'm embracing this Lenten project with enthusiasm and wonder where removing 40 bags of excess will leave me. Like so many other things in my life, it is a work in progress. The Gospel reading for the First Sunday of Lent shows Jesus in the midst of temptation. The devil has brought all he has to offer - food, power, testing the faithfulness of His Father in heaven, yet Jesus resists every one. Resisting temptation is extremely difficult. The devil knows our weaknesses well and uses them to try to get at us. We all have certain temptations that are especially difficult for us, and sometimes, sadly, unlike Jesus, we give in. You know what those temptations are - they are the ones that lead to the sins that you end up repeating in confession every single time you go. Yet, the important thing is that we keep trying, keep praying,and keep telling the devil "no." For we know the truth, even if the devil did not in this passage. There will be no "opportune moment." The devil isn't the one who wins. Christ died to save us. Our sins can be forgiven. Heaven is once again open for us. St. Jude, you are with me in all that is new. May your path of hope be mine in the days ahead. I promise in faith to share your hope with others, to forgive as I am forgiven by my father in heaven, and to show sympathy and kindness at every opportunity. Guide me, St. Jude, so that I will begin each day with gratitude on my lips, with truth on my mind, and with hope in my heart. Challenge me, St. Jude, so that I will end each day reflecting on my actions and motivations so that I will grow in faith, love, and hope. Amen. What is the source of your joy? Family? Work? The beauty of nature? All of these are good things and it is right to find joy in them, but it is important to remember that all of these come from God. Take some time today to thank God for the blessings in your life, for all those people and things that come from God. He is the source of all that is good. Let us raise up our hearts to Him. Fasting is a good thing. It can help us gain self-control and be a source of prayer and penance. Yet, this scripture passage reminds us that it is worth little if we do not care for our brothers and sisters first. The three pillars of Lent are fasting, prayer, and almsgiving. Any one without the other two is not complete. How will we show care to the needy in our midst today? Back in 1966, Pope Paul VI issued the apostolic constitution on fast and abstinence, Poenitemini. The intent was "to rescue fasting from the legalism and minimalism into which it had fallen." The goal was not to remove fasting and penance and sacrifice from Catholic life, but rather to make it a personal choice rather than a command issued from above. Unfortunately, many Catholics took this to mean that these practices simply weren't necessary anymore. Nothing could be further from the truth. We are still called today to fast. Msgr. 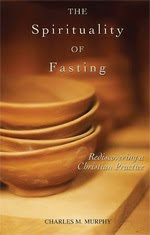 Charles M. Murphy has written "The Spirituality of Fasting" in order to renew "the practice of fast and abstinence based upon a deeper understanding of its role in our religious life." This being said, I offer one minor criticism. Murphy offers the example of Simone Weil in his chapter on standing in solidarity with others. He writes: "Simone Weil died on September 3, 1943, in exile from France in England, at the age of thirty-four, having starved herself to death. Suffering from tuberculosis, she refused in solidarity with her countrymen in Nazi-occupied France, to eat more than they were able to eat. She stands as a witness to social justice and to the significance and hazards of religious fasting." That word "hazards" indicates that Murphy did realize that Weil went too far. However, in the following paragraphs he really does hold her up as a role model. I respectfully disagree. Fasting to the detriment of one's body is not in keeping with the respect God wants us to have for our bodies. Thankfully, in the chapter which offers practical ways to incorporate fasting into one's life, he advocates a much more healthy take on fasting. Following in the footsteps of St. Francis de Sales, he writes: "Your work and state in life are primary; fasting should not impede your ability to perform your duties , or endanger your health." I like that, unlike some other books on fasting that I have read, he acknowledges the worth of a partial fast - of simply giving up one meal, or cutting back on what one eats. He also agrees there is much to be said for other types of fasting and sacrifice, such as fast from media, or talking unnecessarily. Murphy also makes the important fact that fasting is not a negative activity - it is a life-giving one. In truth, it enables us to feast. Just as one cannot appreciate light without the darkness, one can not truly appreciate feasting until one has experienced some lack. "We fast not just for fasting's sake, but to be able to feast, to live in the present with great pleasure and a joy that lasts." "The Spirituality of Fasting" does much to encourage readers to make the practice of fasting part of their lives. It is good reading for Lent or for any time of the year! This is a repost, but these stations have been well-received in the past, so I thought I would post them again in the event anyone wanted to make use of them. Who do I know who is hurting? Dear Lord, help me to be the person who comes in to offer kindness when the whole world has gone out. I have a love-hate relationship with free will sometimes. Indeed, it can feel as if free-will itself is both a blessing and a curse. Yet, God has given us it as a gift, and we must choose to use it wisely. It is up to us to choose the right path, one day at a time, one decision at a time. Will we choose life today? The ball is in our court. 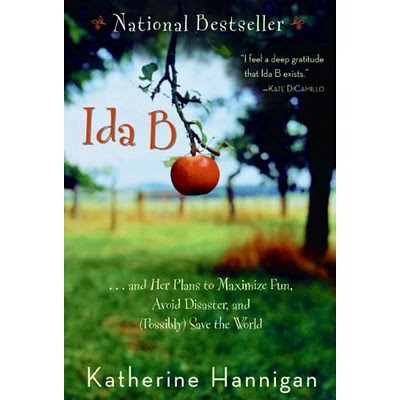 I picked up "Ida B" at the library to read to my kids because it looked like a fun book, perhaps a "Junie B. Jones" character for kids who were just a little bit older. And it did have its moments of humor. My kids did laugh out loud on several occasions. Mostly, though, this book deals with some very big issues. 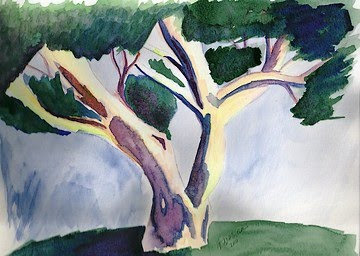 Ida B. is an imaginative young lady, who spends her days talking with trees and the brook and learning at home. After a disastrous first couple weeks in kindergarten, her parents had decided to homeschool her, and she spent four wonderful years that way. As a homeschooling parent, I was very pleased with Hannigan's description of home education. But then, her mother gets cancer and everything goes wrong. Her mother is always tired. Her father has to sell some of their land to pay for medical bills. Worst of all, Ida has to go to public school. Her young life has crashed in a big way and she decides she is not going to take it sitting down. She makes up her mind to hate school, not make friends with anyone, scare off the people building a house on "her" land, and maintain only the minimum of polite conversation with her parents. During the book, readers get to see how these plans turn out for Ida B. It is a book that deals with very real issues of trust and love. Hannigan also includes a very sympathetic 4th grade teacher who never gives up on Ida and in the long run, makes all the difference. Ida learns some important lessons and so will readers. Don't let the cover or the title fool you. Yes, it is time once again - Time to reflect on our sinfulness, on the ways we have failed God and neighbor. Those ashes on our foreheads remind us of our humanity, that "We are dust and to dust we shall return." Our time here on this earth is short. It is time for us to turn back to God and realize he is the source of all that we are. We are nothing without Him. We can't make it alone. He is "slow to anger and rich in faithful love," always ready to welcome us back when we have strayed. Fat Tuesday, Mardi Gras - whatever you call it, it is the day before Lent. One last chance for rejoicing before the somberness of the Lenten season sets in. Some years, I really feel like I have liturgical whiplash going from Advent to Christmas, experiencing a short break, and then being thrust into Lent. How does Jesus go from baby to 33 so quickly? It doesn't seem to make much sense. And yet, this year I feel ready for it. I'm ready for the time of fasting and prayer and sacrifice; ready to see where the season will lead me. I had great hopes of offering a Lenten reflection for every day of the season and having them ready for all of you. Then, life got in the way, and other tasks had to come first. Still, I hope to offer as many as I can. So, yes, today, rejoice! And may God bless you on your Lenten journey. In his Lenten message released on February 4, 2010, Pope Benedict XVI encouraged Christians to work for just societies. "The Christian is moved to contribute to creating just societies where all receive what is necessary to live according to the dignity proper to the human person and where justice is enlivened by love. . . Conversion to Christ, believing in the Gospel, ultimately means this: to exit the illusion of self-sufficiency in order to discover and accept one's own need - the need of others and God, the need of his forgiveness and his friendship." Fame in this World or the Next? The Gospels are full of messages that contradict what the world at large tells us to do. These words of Jesus from the Gospel of Luke are no exception. We live in a society that values fame above everything else. Everyone needs to market themselves. We need to create a brand and have a platform. One’s talents must constantly be put on display. One must have as many contacts as possible through as many venues as possible. It is necessary for career and life success. There are always new opportunities for self-promotion to pursue. It may be necessary in today’s world, but in light of this Gospel reading, it gives me pause. At what cost do we seek to “gain the whole world?” Do we lose ourselves, our true selves, in the process? At what point do we lose sight of what really matters? It is a difficult question. Jesus’ whole message focused on love – love of God and love of others. It is all about what we can do for the other people in our lives, not what the world can do for us. It is about giving rather than taking, shedding light on others rather than seeking the spotlight for ourselves. For many of us, careers are important. The work we do matters. Being successful in them enables us to provide for our families and contribute to society. Therefore, self-promotion becomes part of the package. Perhaps the key to whether we are losing ourselves in the process lies in the intent. Do we seek fame and attention for its own sake or as a means to achieve something of more lasting value? Is it a way to stroke our own ego and say “aren’t I wonderful?” or is it a way to get out a message and serve others in the process. That line can be a fine one. We are all human and our egos speak loudly. Most of us want to be noticed and appreciated for our gifts. Perhaps our motives aren’t always pure, but we can work on them. We can strive to put the attention on, and give the credit to, God who gave us our gifts. We can make an effort to always put others first. The praise and attention we get on this earth is transitory. Think of those who gain the highest levels of fame in our society. Do we remember the majority of these people even five years after they have had their names plastered on television and on the cover of magazines? That type of notoriety is short-lived. Even lasting recognition matters little once one leaves this world. When we die, God will not ask us how many headlines featured our names, or how many contacts we had on social networking sites. He will ask us how well we loved and served the human beings we walked through life with. That is the ultimate task and the one we must focus on. It is only in giving up our own life for God and for others that our own lives will matter. 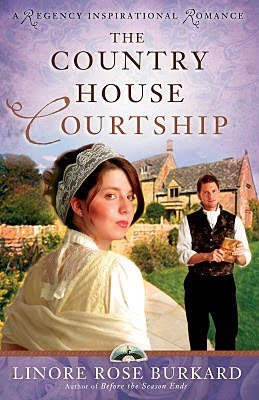 After enjoying and reviewing The Country House Courtship , I am very pleased to offer this interview with author Linore Rose Burkard. She creates Inspirational Romance for the Jane Austen Soul. Her characters take you back in time to experience life and love during the Regency England era (circa 1800 - 1830). Ms. Burkard's novels include Before the Season Ends , The House in Grosvenor Square and, The Country House Courtship . Her stories blend Christian faith and romance with well-researched details from the Regency. Readers experience a romantic age, where England from the past comes alive and happy endings are possible for everyone! Thank you, so much, Linore, for offering your wisdom and advice! Book Review: "The Country House Courtship"
"The Country House Courtship" by Linore Rose Buckard is billed as an "Inspirational Romance for the Jane Austen Soul." That is a high standard to aspire to, but this book lives up to it! 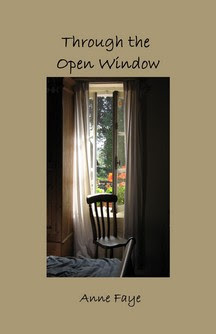 This is the third book in a series focusing on the Forsythe family, living in Middlesex, England in the early 1800s. I haven't read the first two books, but was quickly engrossed in this tale which focuses on the younger Forsythe sister, Beatrice. She is a young woman eager to experience a London season and hopes of making a wealthy match. Mr. Tristan Barton seems to offer all that she wants, but when a country clergyman begins to capture her heart and she is forced to face her sister's life-threatening illness, she must make difficult decisions about what matters most to her. "The Country House Courtship" will appeal to all those who enjoy romantic stories of status and manners. It is an extremely delightful read! I'm sharing my latest two offerings from my Saturday night painting sessions. I did this one for my boys. These are their three favorite friends. Blue and Goose are Isaac's. Blue has been well-loved. He has one velvet eye and a velvet nose that replaced the ones he originally had. 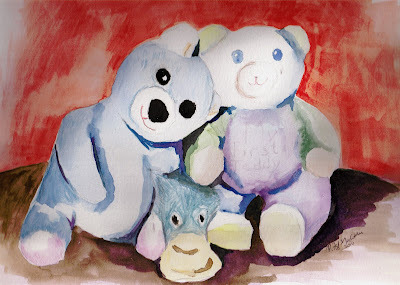 Teddy has been David's companion since the day Isaac was born. 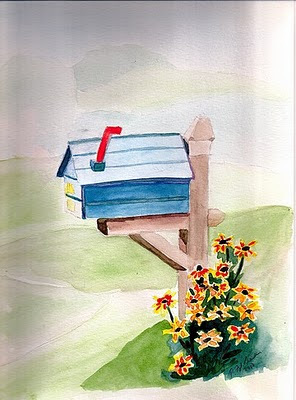 I had taken a photo of this mailbox when I was on vacation this past summer. I like mailboxes and I love getting mail. This one has a letter just waiting to be picked up and sent on its journey. Check out the Catholic Blog Fiction Blog for an excerpt from "Tale of Manaeth" by Philip Campbell. Philip Campbell wrote me today to spread the word about his new fantasy Catholic fiction novel "Tale of Manaeth." Written in the epic style of such classics as the Silmarillion and the Iliad, the Tale of Manaeth tells the story of a young princess reluctantly thrust into a position of leadership among her people and faced with a hostile and powerful foreign aggressor. Through much hardship and many savage battles she leads her people to triumph and becomes the foundress of a nation. As the youngest girl in a family of six, Manaeth is an unlikely candidate for the throne of the Kingdom of Asylia. But when her entire family is murdered by agents of a cruel foreign king, she becomes the heir to the throne and the unexpected source of unity for her scattered and persecuted people. Though desiring peace she is forced to become a sovereign of war, and through fortitude and the shedding of much blood (and the supernatural assistance of a mysterious stag) she labors to free her people from foreign oppression. 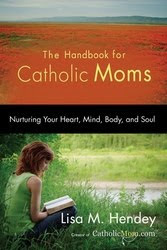 Win an Autographed Copy of "The Handbook for Catholic Moms"
Check out this video to see Lisa Hendey and learn how to win an autographed copy of "The Handbook for Catholic Moms." I got my copy in the mail today! The review will be coming soon!